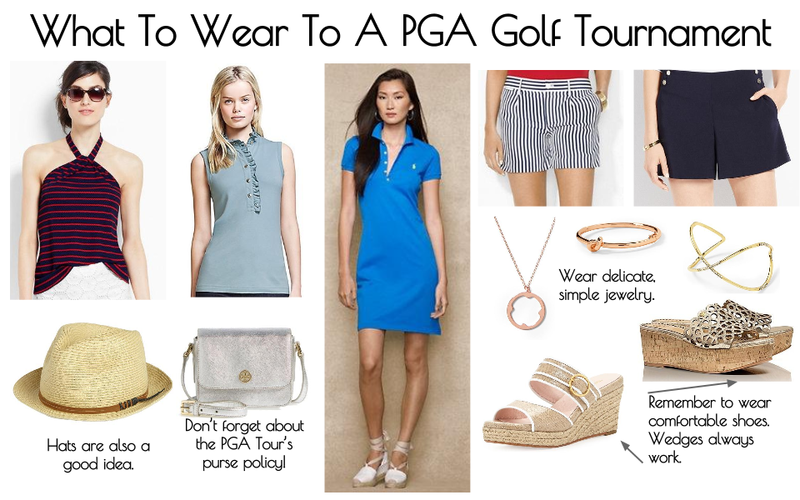 What To Wear To The PGA Championship | Gina Miller's Blog - A working mom's blog about fitness, travel, handbags & beauty. The PGA Championship is this week at Valhalla Golf Club in Louisville, KY. As one of golf's major championships, it's a chance to dress up just a bit more than most tournaments. To that end, it's still a golf tournament. It's not the Kentucky Derby or a night out. I think "Athletic Chic" is the perfect aesthetic to keep in mind if you're heading to a tournament. That's not a limiting concept. You can still wear stylish dresses, cute shorts and tank tops or even something more traditionally considered "golf attire". Bring a small bag. 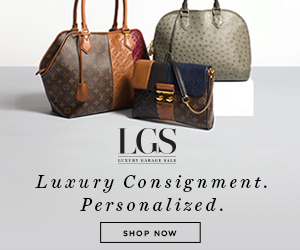 PGA Tour events have a restrictive purse policy. Bags must be smaller than 6"x 6". Wear sunscreen to protect your face, hands, neck and arms. I love Elta MD's or Skin Authority's. Learn more about Elta MD here or Skin Authority here. Wear a hat, if you're so inclined. Not only does it shield your face from the sun, it's also a homage to the Kentucky Derby, the home of fabulous millinery. LOVE these Gucci sandals, just not for a golf tournament. Don't wear hoochie shoes, stilettos or strappy platform sandals with a pointy heel. They'll sink into the grass and make you look like an amateur. Go with wedge heels or a nice espadrille. Don't wear a fanny pack. Seriously. I don't know why I have to reiterate this but I see them repeatedly at golf tournaments. Don't sport crazy, patterned shirts or things with wild logos on it. The HP Byron Nelson Championship is known for having ladies from local strip clubs walk the course with their clubs' logo emblazoned across the front. That's fine. For them. For you, go a little classier. Save the logo swag for another event. It bears repeating: DON'T forget about the purse policy. I have friends who have had their bags confiscated. TIP: you can squeeze a malleable bag to get it within the 6-inch rule (about the length of a dollar bill). I have done this a few times to squeeze my Chanel Wallet-on-a-Chain into events.